Sole Fitness were the first equipment supplier to really embrace the internet (in my opinion anyway). Not so long ago you could get one of their treadmills, bikes or cross-trainers from anywhere else except through their website. They also offered a generous commission rate to affiliates recommending them on their own sites. This unfortunately meant many were reluctant to believe the glowing reports and reviews of their machines because the reviewers had a vested interest in bigging them up. I say 'unfortunately, because Sole do in fact have some excellent quality machines - and usually backed up with good warranties. And these days you'll find Sole machines sold by other retailer such as Amazon - see below. So onto the SR500. 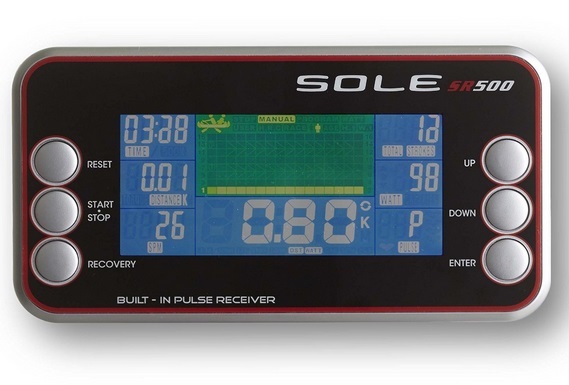 The first rowing machine by Sole that came out in 2014. So what's it like? If you've already read other reviews on this site, you may be thinking this looks very much like the model from BH Fitness, namely the LK580. And you'd be right. This model is made up from the frame and resistance mechanism by the same manufacturer in Taiwan - the only difference as we can see is the specification of the performance monitor - see below. This is how many fitness equipment suppliers work - they choose a frame, seat and monitor from a number of manufacturers and build a basic package - a sort of 'pick and mix'. The SR500 is very similar to the LK580 but for one big difference, and one confusing one. The big one, is that at the time of writing, it retails for around $600 less! 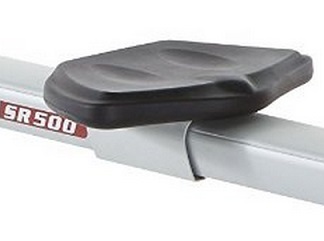 The other, is Sole say it will support a maximum user of a whopping 515 lbs, whereas BH Fitness say only 300 lbs. So either the frame is made of tougher aluminium, or Sole has more faith in their model. The rowing position is good, the seat height of 20" makes for easy getting on and off. The footpads are a good size and the straps hold your feet securely in place - there's nothing worse than slipping feet when trying to workout! The seat is a standard one you'll see on a number of other rowers and is fit for purpose and most should find comfortable - so long as you're not too over-weight. The resistance mechanism is a combination of both air and magnets. This offers the realistic feel of rowing on water (although not essential for indoor rowing), plus the benefit of the programs being able to control the resistance level (any one of 16) without manually having to change it, This is useful for heart rate and interval training programs. One other point - the long beam makes this a great choice for the taller rower, even if you're 6' 8". The Sole monitor has 10 pre-set programs as compared to 17 on the BH Fitness model. These include 2 heart rate training programs (excellent for fat burning) and the added advantage of including a chest strap with every model. The large buttons make this a very easy monitor to use, and the large 5.5" LCD color screen displays all the relevant data. Note, this monitor is not compatible with your PC. 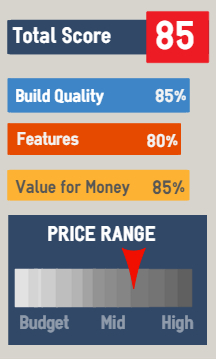 At the current price listed below, this offers very good value for money in our view. 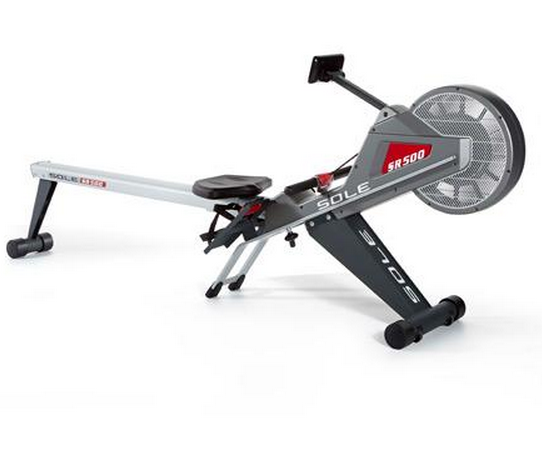 This sleek but sturdy rowing machine with its heart rate training programs would be a great choice for the larger, taller user looking to burn fat and get fit. If you can get this for under a thousand bucks it's great value in our opinion. 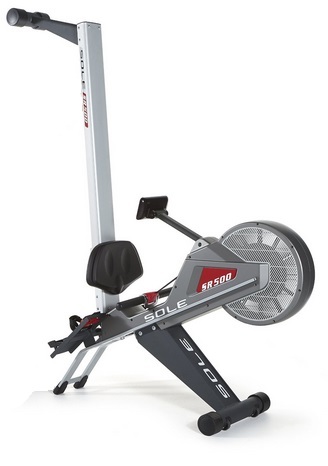 At this price the ever-popular Concept2 Model D is also a serious competitor.